Reporting to the Vice-President Academic and Provost (VPAC), Jim Dunsdon was appointed Associate Vice-President Student Affairs on May 1, 2009. Jim's career in supporting the student experience began at UVic over 20 years ago. While getting his BEd (1995), Jim was a Residence Life Professional where he began to develop his skills in mentoring, peer helping, conflict mediation and resolution, and crisis intervention. 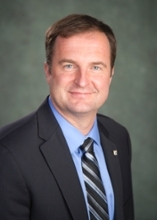 Jim completed his MBA in Education Management from the University of Leicester, UK and has served as Manager of Student Services at Royal Roads University, Director of Housing at the University of Toronto at Scarborough and Associate Vice-Provost (Student Services) at the University of Calgary. With a combined operating and ancillary budget of over $100M and 1400 active, full and part time staff, the Division of Student Affairs (STUA) is one of the largest employers on the UVic campus. As the Associate Vice-President (AVP) Jim provides strategic leadership to ensure programs, policies, services and facilities are integrated to enhance the student experience and support student success. Jim leads and fosters changes that address both contemporary social issues for students (such as Mental Health) and staff development to advance the Student Affairs profession. Recognizing the value of involving and effectively communicating with others, Jim regularly engages division staff, student governments, faculty, university administration and local communities in STUA key initiatives.